Mark Klingman isn't a household name. 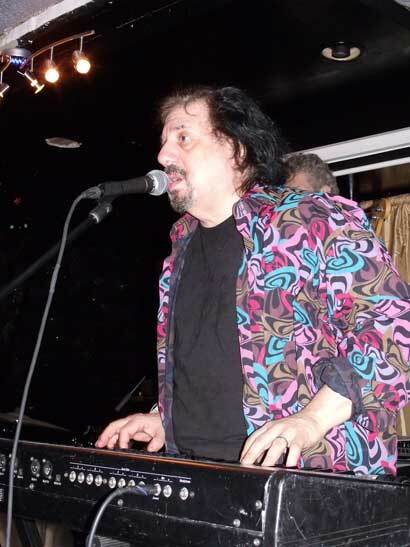 But the terrific singer/songwriter/keyboardist/producer known as Moogy has, in addition to enjoying a stellar solo career, crossed musical paths with such diverse musical giants as Jimi Hendrix, Bob Dylan, Eric Clapton, Todd Rundgren, Bette Midler, Barry Manilow, Carly Simon, Paul Winter and Guns N' Roses. Moogy and I became friends in Great Neck, Lawn Guyland, when we were 8 or 9. He was the scraggly-haired kid up the street with the evocative name and the cool basement, where we traded DC comics and he spun 45s like a pre-stoned-age Murray the K. My mom admired Moogy's mom for being a committed "lefty," and I learned that word referred to something more than my southpaw status in stickball. As we crossed the threshold of teenagery I lost track of Moogy, but rediscovered him in his high school incarnation as a '60s radical—before that term was commodified—and an amazing rock & roll singer and keyboardist. When Moogy returned to high school that fall, his band, The Living Few, played a dance in the Great Neck South High School gym. Instead of the pop hits of the moment, they began with a blistering version of "Maggie's Farm"—one of the tunes Dylan had played at Newport—and for me high school dances would never be the same. Moogy moved into Manhattan after his gig at the Great Neck South High Civil Rights concert ended in fiasco—some would say near-riot—after Steve Sloane, the Zelig of our class, performed a strip tease. (At that same show Moogy took the hand of Andy Kaufman, another Great Necker, leading the deadpan "blind Cuban refugee" to his conga drums for Kaufman's first public performance.) Within a year, at age 16, Moogy was playing with Jimi Hendrix's band, Jimi James and the Blue Flames, at the Cafe Wha in the Village. By the time we were 22, Moogy had written a huge hit song—Bette Midler's "You've Got to Have Friends"—and recorded a solo album for Capitol. Our relationship became professional for a moment when I wrote a profile of him for Record World magazine. 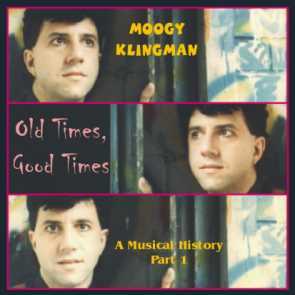 Moogy went on to, among myriad accomplishments, front his own bands; become a founding member of Todd Rundgren's Utopia; participate in the "lost" supersession Music from Free Creek with Eric Clapton, Jeff Beck, Dr. John, Linda Ronstadt and other superstars; and produce the Dylan-Midler duet of "Buckets of Rain" for Bette's album "Songs from the New Depression." Since the '70s, my contact with Moogy has been limited to high school reunions—where he can be seen handing out flyers for forthcoming gigs—or chance meetings in Greenwich Village or the Lower East Side, where, as often as not, he's handing out flyers for anti-war rallies. And, every now and then, word comes about yet another Great Neck musician whose career Moogy helped along without asking anything in return. The benefit, set for Sunday, January 16 at The Bitter End, 147 Bleecker Street at 9 pm, is scheduled to feature Peter Yarrow, David Amram, Randy Brecker, Danny Kortchmar's group the Kingbees and Moogy's own outfit the Peaceniks are scheduled to perform. (Yes, remarkably, Moogy is still rockin'.) Admission is a $20 donation. Moogy Klingman, ‘Let Me Just Follow Behind’: Moogy Klingman and Julie Eigenberg at the Cutting Room in New York, January 5, 2008, performing a song Moogy wrote for Bette Midler. A much-anticipated Utopia reunion concert—this one's not a benefit—will salute Moogy January 29 at the Highline Ballroom in Manhattan. All the original members—Todd Rundgren, Ralph Schuckett, John Siegler, Kevin Ellman and Moogy—will be on hand. It's awful to find out that an old friend is ill and only then to express appreciation. But in the words of my brother Jeff—one of the many who began making music with Moogy long, long ago—"better late than later." If you haven't been lucky enough to get to know Moogy, at least through his music, now's the time.